Elevating Antifa to terrorism would fuel the worst trends in our politics, as well as take power away from the states. The Obama Department of Homeland Security concluded that left-wing “Antifa” forces were engaged in “domestic terrorist violence,” according to documents obtained by Politico. Who am I to argue with the fine men and women of former president Obama’s DHS? In fact, as someone who has been fighting with Antifa defenders for a good while, I feel a bit like the defense lawyer in Miracle on 34th Street when the U.S. Post Office confirms that his client is actually Santa Claus: Hey, don’t take my word for it; “terrorist violence” is the term chosen by professionals working for a Democratic White House. With this moral victory secured, let me now break with some of my friends on the right and say that I think it’s a bad, or at least premature, idea to go all the way and label Antifa an actual terrorist organization. Before I explain why, we should spend a moment considering how we got here in the first place. Many defenders of the Antifa cause insist these loosely organized activists are simply anti-fascist, and that fighting fascism is some kind of get-out-of-jail-free card for lawlessness, violence, and intimidation. That’s nonsense. The state has a monopoly on all violence save for self-defense. In a nation of laws, people cannot exempt themselves from the rules because they don’t like someone’s ideas. Even if fighting fascists were a get-out-of-jail-free card, giving a bunch of adrenalized anarchists unilateral authority to designate fascists strikes me as an incandescently stupid idea. Antifa’s understanding of what qualifies as fascist includes conservative campus speakers, defenders of free speech, and even plain old Republicans. And yet, college administrators, local politicians, and police departments, particularly in places like Berkeley, have given Antifa protesters a kind of benefit of the doubt. And so have some in the media who think there’s something romantically heroic about direct action and, in the Trump era, resistance. This isn’t to say that there have been no arrests. But university officials and local politicians have been intimidated on numerous occasions. In Portland, a parade was canceled because an e-mail threatened violence if Republicans were allowed to march in it. In Berkeley, Mayor Jesse Arreguin urged UC Berkeley to cancel “Free Speech Week” for fear of violence, giving Antifa a heckler’s veto. So much for the home of the Free Speech Movement. Predictably, such responses have only emboldened the goon squads. Still, the local authorities that are contributing to the problem are also the best solution for it. In fact, Arreguin has the right idea when he says Antifa should be labeled a gang. Like many gangs, Antifa is less of a sophisticated criminal enterprise and more of an excuse for hooligans to make trouble. Maybe local police departments aren’t up to the task of combating them, but we won’t know until they stop appeasing them. Meanwhile, officially designating Antifa a terrorist organization would most likely be opening a Pandora’s box (for reasons my National Review colleague Andrew McCarthy recently laid out in detail). There is a huge difference between countering foreign terrorists, who have no constitutional rights, and domestic ones. The federal government is constitutionally empowered to fight foreign threats. The states are supposed to fight crime, even domestic terrorist violence. The groundswell behind the label “terrorist” for Antifa is a call to blur that distinction. Although treating American radicals and vigilantes the way we treat foreign members of the Islamic State or al-Qaeda might play well in certain corners of the populist Right these days, serious conservatives should be very skeptical about granting the federal government new police powers, which could be used to other ends in future administrations. Elevating Antifa to the category of terrorist organization would fuel the worst trends in our politics. It would entice President Trump to indulge his strongman shtick, and it would give Antifa the stature it clearly craves. It would also likely accelerate vigilante violence among the white nationalists. Launching a federal crusade against domestic enemies would only fuel the fallacy that anyone Antifa attacks is a fascist. We should fight crime, whatever guise it takes, on the local level — as the founders intended. Designating Antifa as a Terrorist Organization is a Bad Idea. 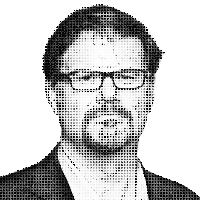 – Jonah Goldberg is a fellow at the American Enterprise Institute and a senior editor of National Review. You can write to him in care of National Review or by e-mail at goldbergcolumn@gmail.com, or via Twitter @JonahNRO. © 2017 Tribune Content Agency, LLC.